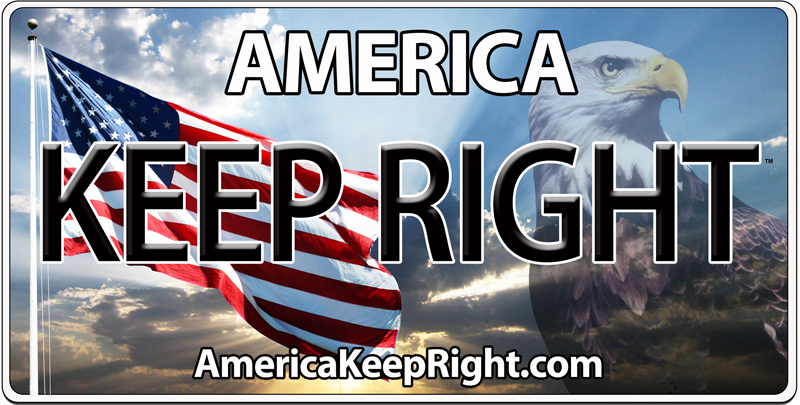 America Keep Right was founded to address the problems that undisciplined motorists create on our roads and freeways. People driving slowly in the passing lanes cause a hazard by impeding the free flow of traffic. Failure to “Keep Right” negatively impacts three main issues: traffic safety, traffic congestion and emergency response. With your support, through public awareness, stronger “Keep Right” laws, and increased “Keep Right” traffic enforcement, we will make America a safer and more enjoyable place in which to drive. SLOWER TRAFFIC KEEP RIGHT – Speed or Safety? There are many traffic safety laws. 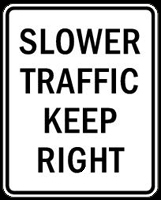 “SLOWER TRAFFIC KEEP RIGHT” may be the most important. Not only is it a law, but also a guide on how to maintain order on today’s busy roads and freeways. With an ever increasing amount of vehicles and usually between two and four lanes, this is the only way that motorists of differing speeds can share the road safely and orderly. Lane Courtesy by motorists can have an immediate impact on all of America’s roads. Driver education is our number one priority! The need for motorists to “Keep Right” as a matter of defensive driving is critical in maintaining the free flow of traffic. When an emergency vehicle is approaching from behind with flashing lights and sirens, all too often drivers panic or freeze. 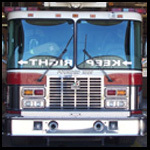 Many drivers do not know what to do when an emergency vehicle approaches with flashing lights and sirens. 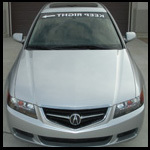 In most areas the law states that you should, “Yield to emergency vehicles with flashing lights and sirens. Safely and Immediately move to the right hand edge of the roadway clear of any intersection.” If motorists obeyed the “Keep Right” laws at all times, “First Responders” would reach emergencies faster and safer, which would result in more lives being saved. Undisciplined motorists that impede the flow of traffic through ignorance, inattention, or just being inconsiderate show a disregard for public safety and the normal practice of defensive driving. Driving is a privilege, not a right. Whether you drive fast, slow, or moderate, people that drive slowly in the passing lanes cause a hazard for all of us. We need your help to make our roads and freeways safer and less congested.